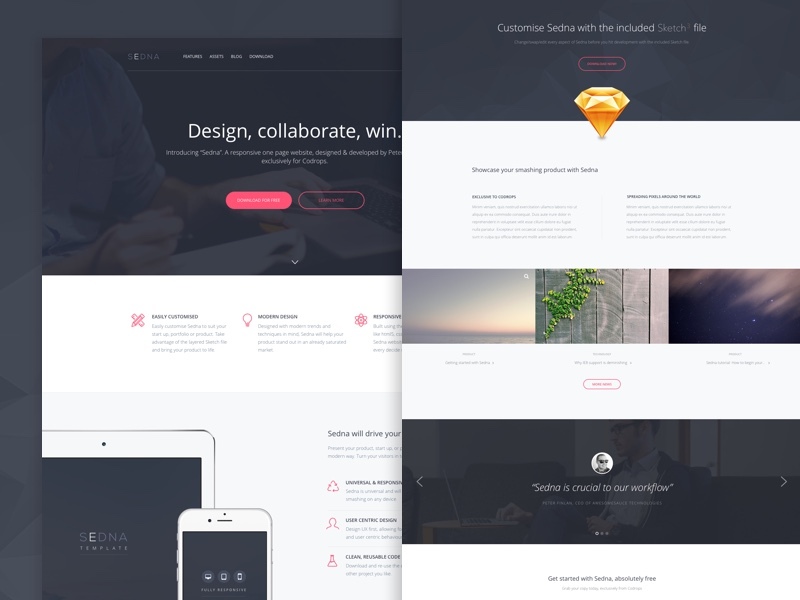 The latest and best website HTML5 templates in this great monthly roundup. We select the top 10 and they are from around of the net. 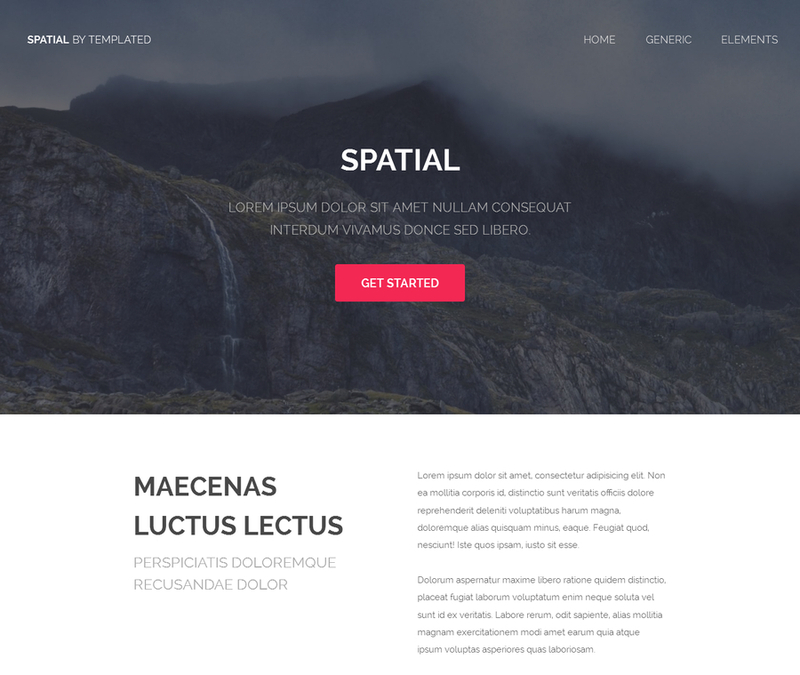 Those beautiful HTML templates can be very useful for your projects. Also if you know some web developing things, you are able to transform HTML template to a WordPress theme or other CMS theme. The transformation you can easilly order by freelancers. Our goal is to bring out for you quality freebies and we are doing this. 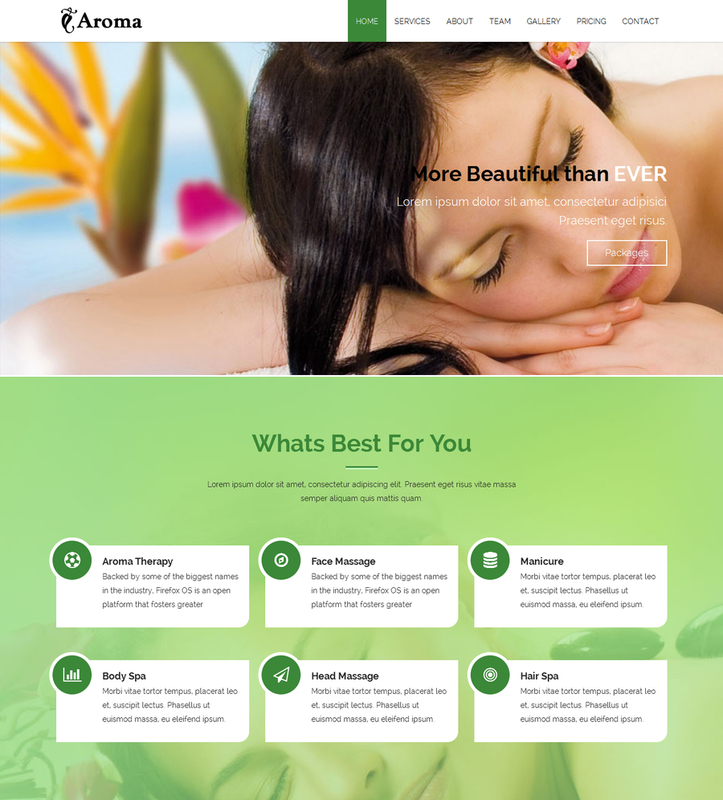 Aroma Beauty and Spa Responsive Bootstrap Template is a bold, modern and stylish bootstrap theme suitable for small types of businesses such as beauty and massage center, hair salons, nail salons, and others. The template is fully responsive and mobile ready. It has the ability to function faultlessly on all types of browsers and modern devices and adapts suitably on small, big or wide screen resolutions.This template is built using latest Bootstrap framework with html5 and css3 which is very easy to customise. 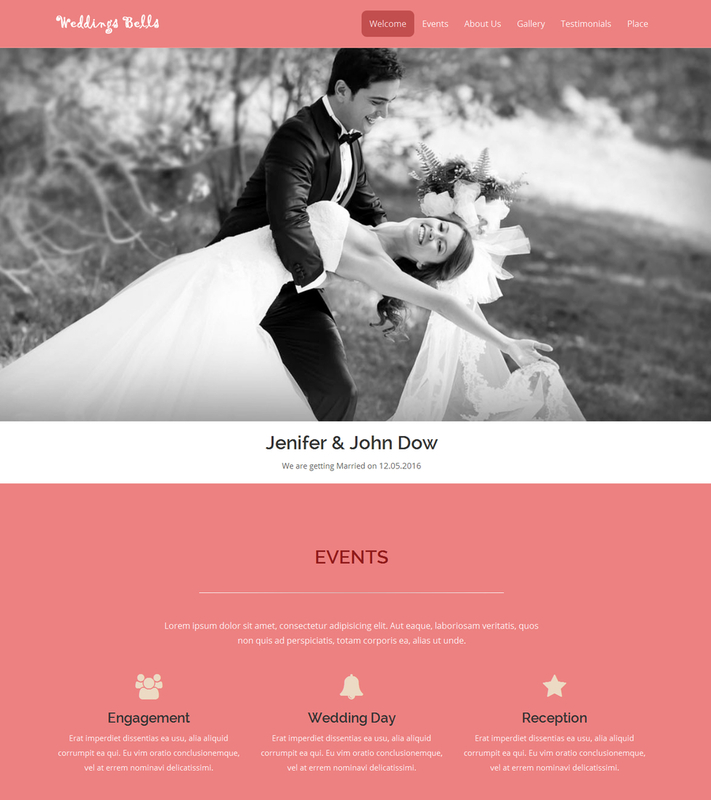 Wedding Bells Free Responsive HTML5 Template is a clean modern responsive html5 template for wedding invitation website. Built with valid HTML5 & CSS3. This template is based on latest Bootstrap framework fully responsive compatible with multi browser and devices. This template can be used for multi-purpose needs as well like other invitations, engagement, portfolio and profile. Get your free website templates here and use them on your website without needing to link back to us. 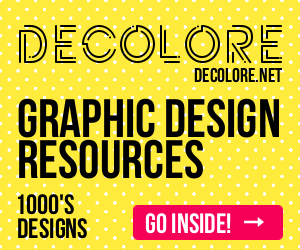 All you need is there to create a stunning custom Web design ready for download. 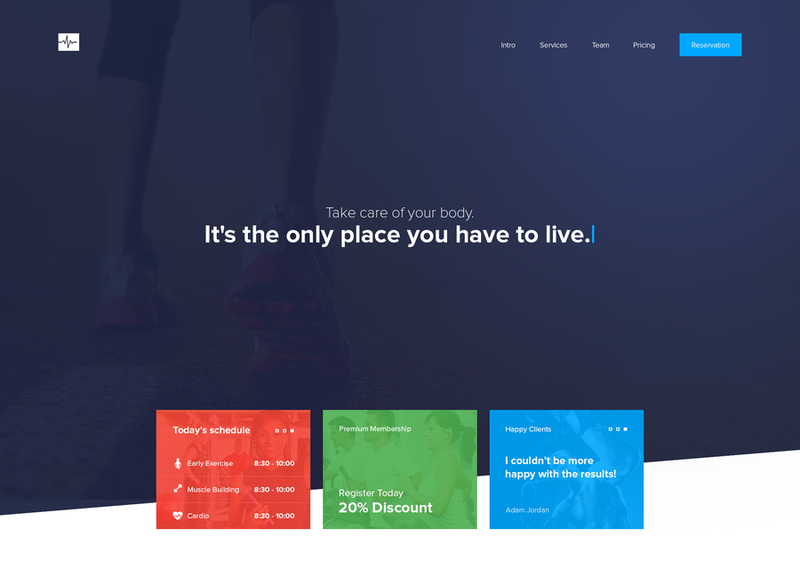 Cardio is a clean and modern looking, responsive one page website template built with Bootstrap. 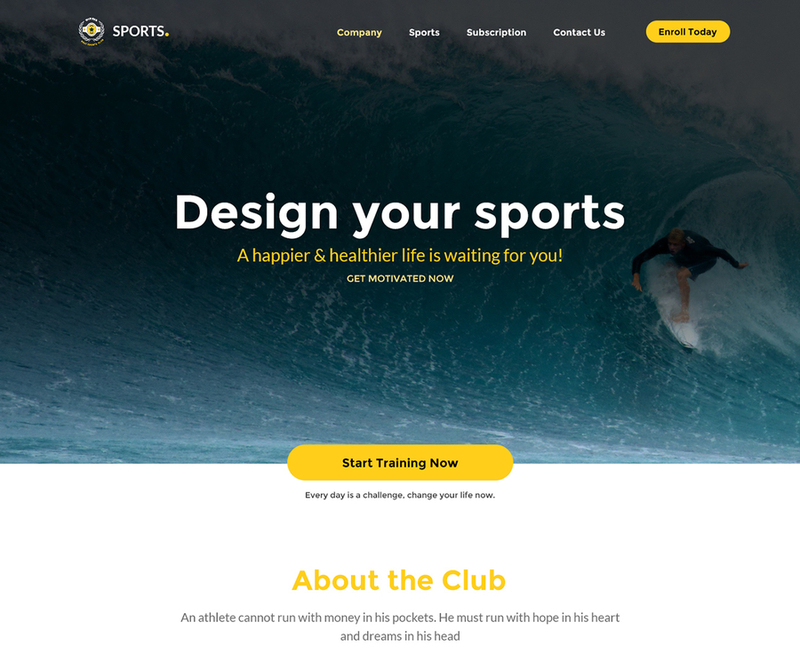 It has a gym related theme but it can be easily adjusted to fit well with any kind of topic. The template comes with a smooth page navigation and some subtle transition effects. 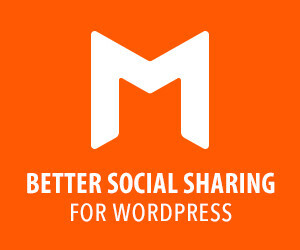 The design is very clean and spacious with a fresh color theme and solid typography. 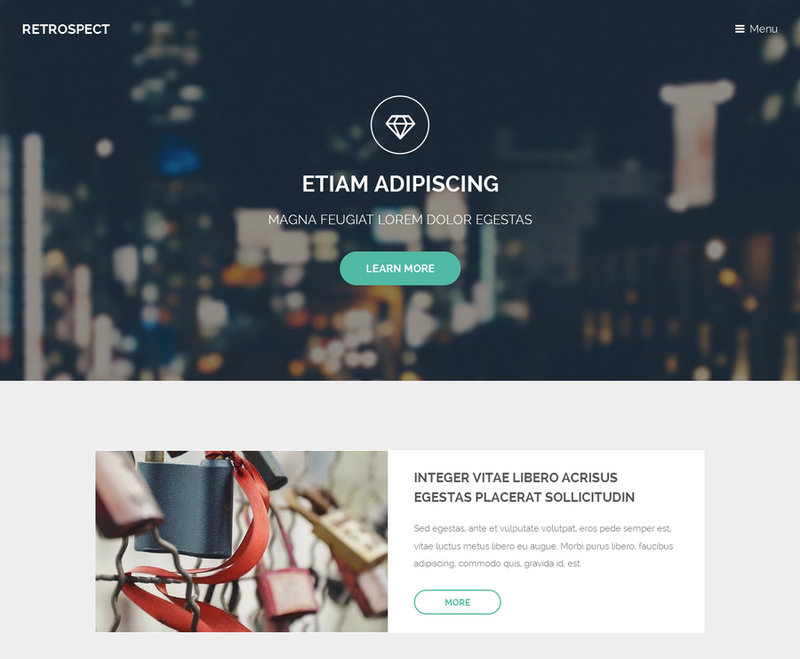 Sedna is an elegant and versatile one page website template that was implemented with the latest web technologies and with easy reusability in mind. The Sketch file is included as a bonus. 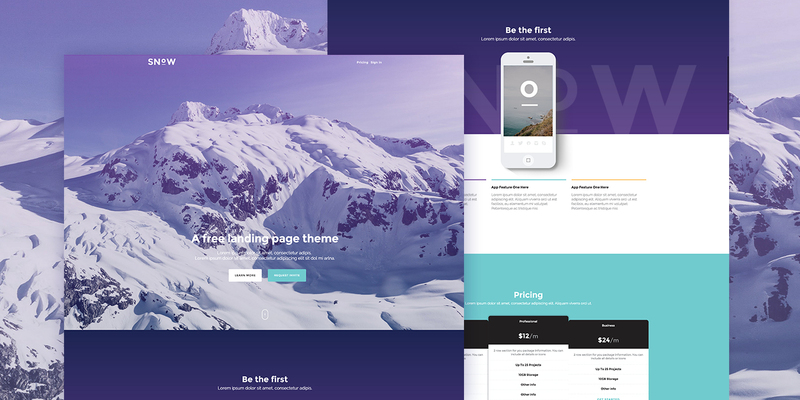 This one page website template will allow you to get set and go with your personal website. Just put in your content and you are ready to make your online presence and if you make minor changes, so much as changing basic colors, no one will know that you are using a free website template. You can raise all praises and make your dream of having a personal website, a reality. 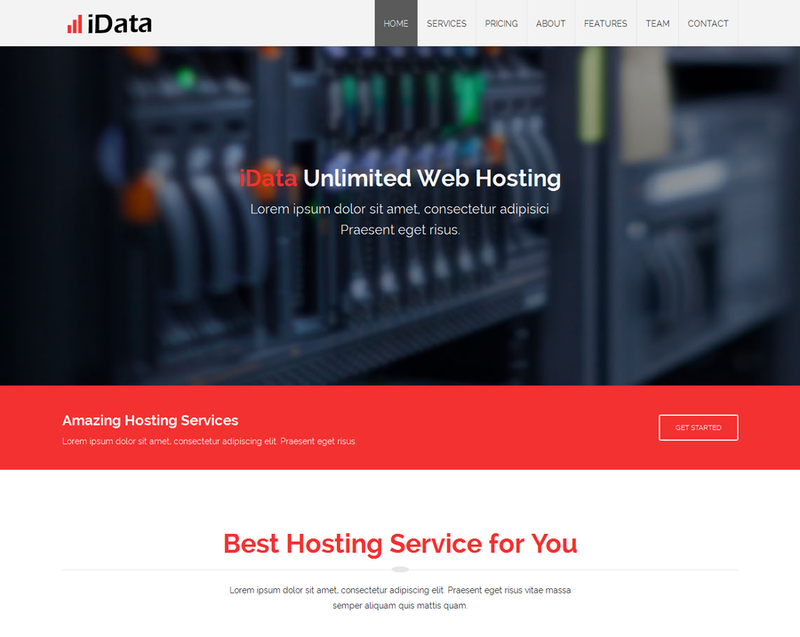 iData hosting free Bootstrap responsive website template is a flat modern HTML5 Bootstrap template suits web hosting business and also fits to all types of business, consultancy, portfolio, agency and many more. This template is built using latest Bootstrap, html5 and css3 which is very easy to customise the theme as per your requirements. This template designed with height quality standards to meet the latest requirement and it is a responsive template fits in all devices with multi browser support. Download for free. 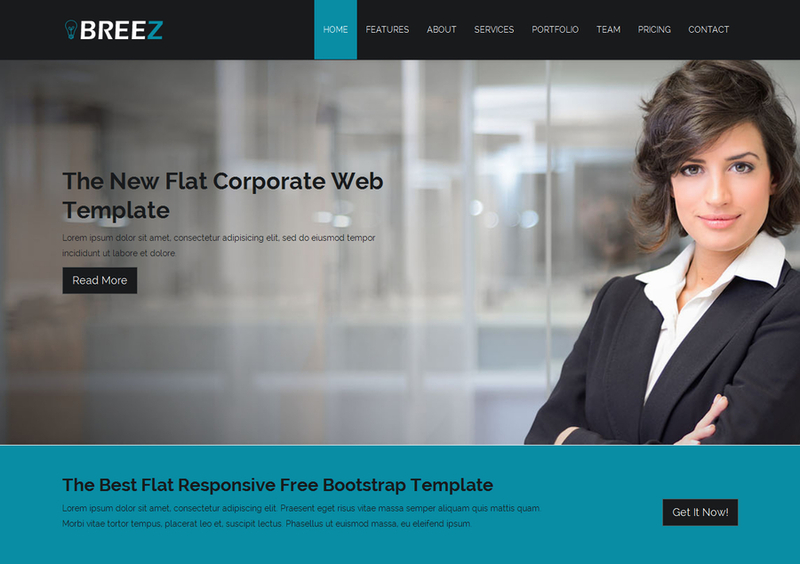 Breez Corporate Bootstrap Responsive Web Template is a clean multi purpose HTML5 template fits to any kind of requirments like business, consultancy, portfolio, agency, real estate, interior designer, and many more. This template designed with height quality standards to meet the latest requirment. This is a responsive web template fits in all devices with multi browser support. This template is built on top of Bootstrap html5 css3 which give flexibilty to customeise the theme easly as per the user requirements.